I went to two of the four days duration of this music festival that took place in Bilbao, Spain. 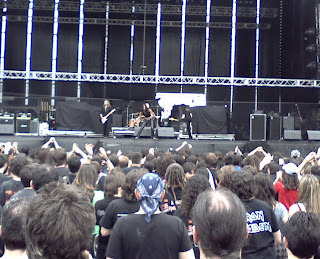 The main bands of these two days were Iron Maiden and Metallica, respectively. 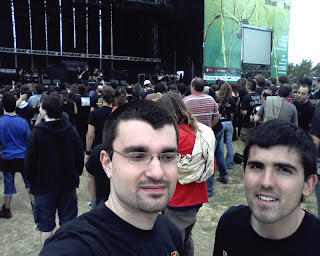 I arrived at Bilbao by bus, with my friend Alvaro and, after some time in a queue, a urban bus took us to the festival area, in a nearby hill. 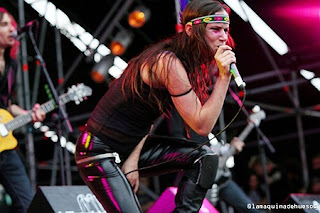 The first group we saw was Lauren Harris, the daughter of the Iron Maiden bassist, Steve Harris. I didn't like her music and she ended up being a bit dissapointing. 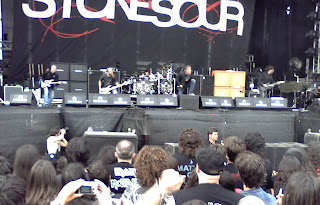 Then we saw Stone Sour. I was impressed by the vocalist of the group, Corey Taylor, when he moved his neck at such an amazing speed. Unfortunately, there were some electrical problems that ruined the concert. While the technicians were trying to solve them, Corey tried to do some funny movements to entertain the public. After this group, we went to see, in the second stage, Juliette Lewis (the famous actress). She moved very good in the stage, the music was not bad and I liked a lot when in the end of the concert she jumped into the crowd. After these preliminaries, the great Iron Maiden appeared!! They played some songs that I wasn't familiar with from the new album but also some others that I knew very well and I enjoyed a lot, like The Trooper, The Number Of The Beast, ... 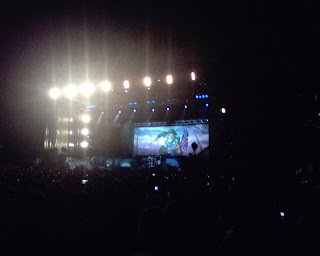 It was a great show, with Great Britain Flags, a giant walking in the stage (Eddie), a tank, and the vocalist jumping from one place to another. But there was one more concert, and it was very good. The band was Within Temptation and I was astonished by the beautiful voice of the vocalist. She was wearing a white dress that made a great contrast with the strong sound of the electric guitars. Great day, I especially enjoyed Stone Sour and, of course, Iron Maiden. Juliette and the Licks' performance was a good surprise.